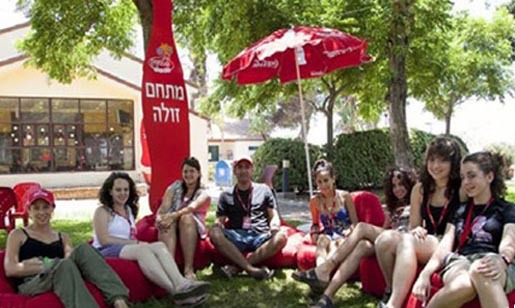 Coca Cola Village in Israel is a summer holiday resort designed for teenagers finishing their school years. For its third year experiential marketing agency Promarket provided residents with RFID bracelets (Radio Frequency Identification) to help them share their experiences on Facebook. 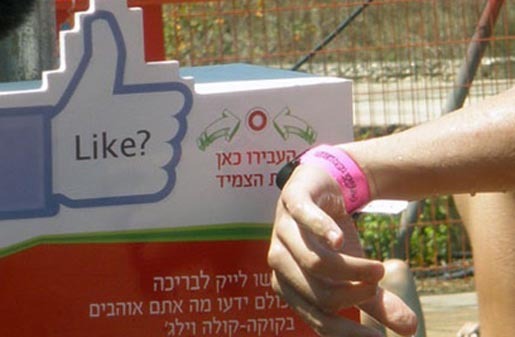 Teens were able to put a digital ‘like’ on their choice of forty facilities in the camp, from the pool, the spa, to the extreme activities and sport section. If photographed by one of the official photographers, the RFID technology would automatically tag everyone in the photo and upload it to the relevant Facebook profiles. 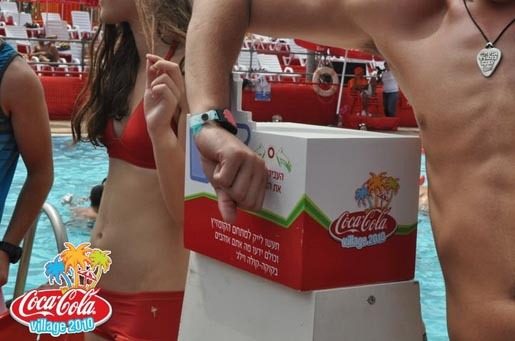 To register for a three-day vacation in the Coca-Cola village, Israeli teens were asked to sign up on the Coca-Cola village Facebook page, gather a group of 8 friends and 10×8 Coca-Cola caps and pay a nominal fee of 199 shekels per each of the kids. The activities started on July 14. Real world Liking resulted in up to 35,000 posts per cycle, even though the village only holds a maximum of 650 at a time. On average each visitor was posting 54 pieces of Coke branded content to their Facebook profile for their friends to see! The Like campaign was developed at Promarket and Publicis E Dologic.